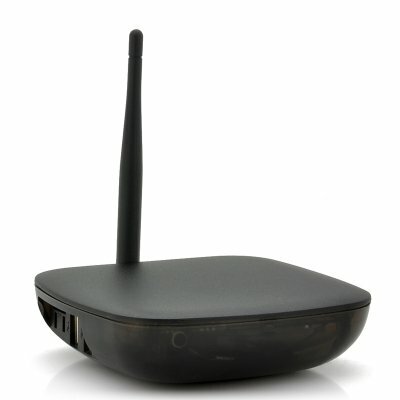 Successfully Added Android 4.2 Quad Core TV Box "Hub-Droid TV" - Wi-Fi Antenna, DLNA, Remote Controller to your Shopping Cart. 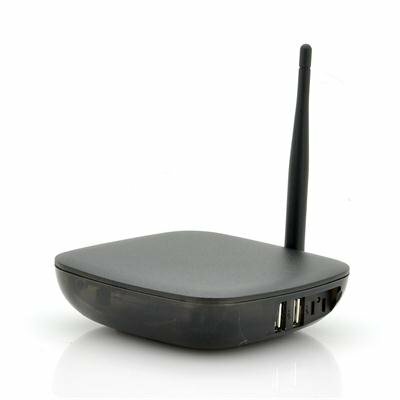 Android 4.2 Quad Core TV Box renovates your standard HD TV into a fully functional entertainment system that makes your hand-held devices obsolete as it has a Wi-Fi Antenna, DLNA and a Remote Controller. Change the way you entertain yourself in your front room with your HD TV by using the “Hub-Droid TV” Android smart box. Coming with Android 4.2 operating system, you will have an endless amount of entertainment that is both enjoyable and practical plus the user-friendly lay-out will massively benefit any user. Packing a fast 1.4GHz Quad Core CPU and 2GB RAM, the “Hub-Droid TV” is the perfect tool to turn your regular TV into an Android Smart TV with a simple connection. Use the HDMI cable to connect to the TV box and watch how you suddenly will have access to hundreds of thousands of applications in the Google Play store. Download applications such as Facebook, YouTube, BBC or any others that are available on the hugely stocked online Google Play store to really integrate the “Hub-Droid TV” into your life. Also featuring DLNA, you’ll be able to connect your DLNA compatible devices in just a few seconds and wirelessly stream content to and from the “Hub-Droid TV” multimedia Box. The design is something to admire as it has a transparent case with several ports including LAN, USB, HDMI and a micro SD port that supports up to and additional 32GB on top of the 8GB of internal memory that the “Hub-Droid TV” TV box has. To ensure you get the best connection when surfing the web is an antenna that that can be adjusted to be fully erected to give you the best performing signal. The "Hub-Droid TV" Android 4.2 Quad Core TV Box is in stock now and can be shipped out within one working day with a 12 month warranty. Brought to you by the leader in wholesale Android TV boxes, Chinavasion. Remote Controller does not include batteries.